Anytime somebody has hard drive errors, I always recommend that they run . Here’s a full guide to using the Check Disk feature built into every version of Windows. 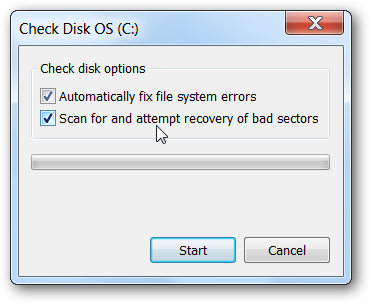 The chkdsk or “Check Disk” utility is used in Windows to scan through your entire hard drive and find problems… it’s like a lot like doing inventory… it’s boring, but it has to be done sometimes. I recommend that you run through a check disk every month or two. 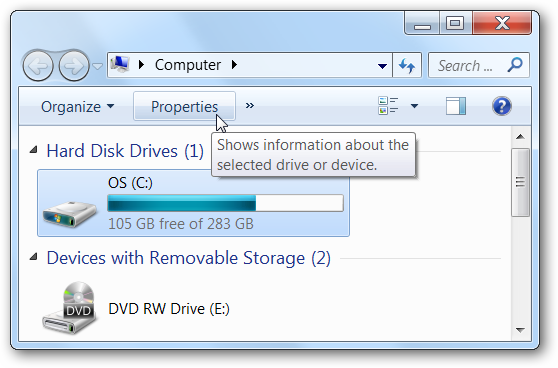 Open up Computer and then right-click on the drive you want to check, and choose Properties, or just click the drive, and then click the Properties button. Then select the Tools tab, and click the “Check Now” button. A little dialog will pop up to allow you to choose the options you want for the disk check. You should check both options if you want to really check the disk properly, but if you just want to do a quick check you could select only the first one. The only problem with that is that Windows can’t check a drive that’s being used, such as the system drive, but Windows will let you schedule a disk check for the next reboot. You should keep in mind that running through a full check disk takes quite a while, sometimes hours depending on how big the drive is and how many files you have. Open up an administrator mode command prompt by right-clicking on the item in the start menu and choosing “Run as Administrator”. Type in the following command, substituting the drive letter if necessary. Seems like they could have a better command line output… something like “canceled!” would have even worked… oh well. Sometimes if your computer has not shut down correctly, Windows will mark the drive as “dirty” basically as a reminder to itself that the drive probably has filesystem errors and should be checked. When the flag is set, you’ll be told the disk requires checking during the next bootup. 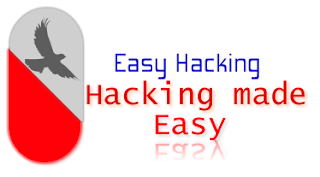 You can easily see the state of this flag by using two different command line options. The first is the same command as above, but you can see the output is different if the drive is set to be automatically checked. Open up an administrator mode command prompt, and then type in the following command to do an exhaustive check of your drive. Substitute C: for whatever drive you want to check. The above command is the recommended way to perform a disk check, but if you want to do a less exhaustive check, you could remove the /R option from the command. Note: You’ll probably notice that this guide was originally written a few years ago. We’ve updated it for Windows 7 and are republishing it for all the readers that might have missed it the first time. You can also use chkdsk on Windows XP as well, but some of the options are slightly different. In general, it works the same way.